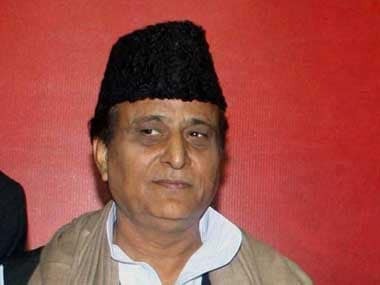 Was black magic, tantra-mantra and jaadu-tona used by the Yadav clan members to strain the relations between Samajwadi Party supremo Mulayam Singh Yadav and his son Uttar Pradesh Chief Minister Akhilesh Yadav? If the party MLC, Uday Pratap Singh, is to be believed, this is the real cause behind the soured relations between the father-son duo. In a strong worded, four-page letter to Mulayam, Uday Pratap made allegations of all sorts against the entire family of the SP chief. The letter, released late Wednesday evening, has given clear indications that team Akhilesh is in no mood to relent now and is ready to take the battle to any extent. 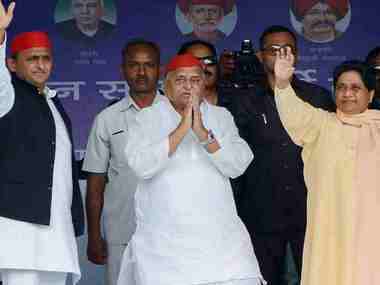 This could also be indicative of the fact that there is no room for any further talks and that team Akhilesh has made up its mind in favour of a vertical split within the party. 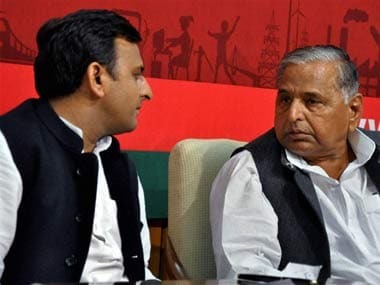 The letter goes on to say that many a times Mulayam had made fun of Akhilesh, when the latter was present on a public platform in the capacity of chief minister of the state. Though this went against the protocol of the chief minister, Akhilesh, like an obedient son, just smiled and let it go. Lashing out at Mulayam's brother Shivpal Yadav, who is also the state unit president of the party, the letter says that he was also not far behind in trying to humiliate Akhilesh. The letter goes on to say that Shivpal had many a times said that, “Akhilesh to ladka hai, Uttar Pradesh ko videsh banana chahta hai, ye expressway kya banayega? Kanoon vyavastha iske bas ki baat nahin (Akhilesh is just a boy, he wants to convert Uttar Pradesh into a developed foreign state. He is not capable of getting the expressway constructed and maintaining law and order is not his cup of tea)." Uday Pratap adds in the letter that Shivpal's jealousy towards Akhilesh was the main motive behind all these statements. In another scathing attack on the Yadav family, the letter further reads that under the influence of his wife Sadhna, son Prateek and brother Shivpal, Mulayam had forged connections with opportunist leaders and contractors. 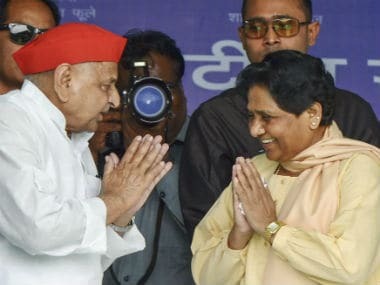 It adds that this team was constantly conspiring against Akhilesh. The MLC has also alleged that Mulayam had faltered first when talks of a merger with mafia don Mukhtar Ansari's Quami Ekta Dal (QED) had started. He further alleges that Mulayam was more inclined towards 'defamed' minister Gayatri Prasad Prajapati. The letter ends with a prayer from the MLC to Mulayam to bury the hatchet with his son and reconcile as Akhilesh is the "real face of development" of the state and without him, it would be difficult for the party to face the upcoming UP Assembly elections. Uday Pratap is a close confidant of Akhilesh and was his senior in the Rashtriya Military School in Dholpur. Party sources reveal that this letter has more than ruffled the feathers of the leadership and that Uday Pratap's ouster from the party could be a matter of a few hours from now.